Is an electronics design and manufacturing company specializing in high quality precision instrumentation and control applications including: Precision analog measurement and control, Capture of very high-speed transient phenomena, High speed, high resolution timing instruments, Electrical and thermal energy metering, Precision thermocouple and RTD temperature measurement, General purpose process inputs and outputs, Cryogenic temperature instrumentation, Custom "smart" instrumentation applications and Pulse-gradient drivers for NMR applications. D200 - Highland Technology, Inc. The D200 is a compact, DC-coupled fast laser driver, providing up to 4 amps of regulated constant current. A built-in edge-triggered pulse generator produces up to 1 microsecond pulse widths and 2 nanosecond transition times, capable of driving lasers with forward voltages up to 9 volts. A pulse-follower mode is also provided, accommodating externally-defined trigger widths up to 100% duty continuous-wave (CW). Power, pulse width, drive current and differential triggering functions are accessible through a ribbon cable header for embedded OEM applications. 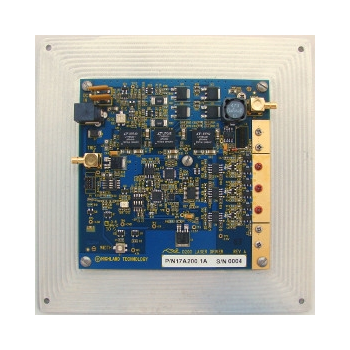 A low-inductance laser drive interface permits direct laser connection or custom interposer and flex-cable attachment. 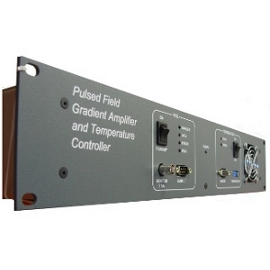 Precision fiberoptic and free-space interfaces provide high-speed, low-jitter and low noise signal conversion, and transport of analog and digital signals. Highland Technology is a member of VITA, the VME standards body, and continues to release new technology into the VME market. As other bus architectures come and go, Highland remains confident that VME will maintain its position as the architecture of choice for essential, long life cycle programs. Highland offers waveform generators across a wide range of forms and performance. From simple 4 channel function generators to our flagship arbitrary waveform generators with interchannel modulation, system mastering capability, and unlimited synchronization capability, all of our waveform generators are designed to allow synchronous signal generation for easy integration into end systems. Highland Technology offers a wide array of tools for measurement, simulation, and control. Tachometers, thermocouples, RTDs, precision voltages, current loops, strain gauges, and more can be measured or simulated by Highland's products.